Washington : The US is threatening to impose tariffs on European goods worth billions of dollars, intensifying a long-running dispute over aircraft subsidies, media reported. The US Trade Representative proposed levies on hundreds of categories of exports on Tuesday in retaliation for the European Union allegedly providing subsidies to Airbus (EADSF). The goods range from Airbus jets and their components to European staples like wine, cheese and frozen fish, according to CNN. These exports are worth about $11 billion every year to European countries, roughly equal to the damage the US believes the subsidies inflicts on Boeing (BA) and the US economy. 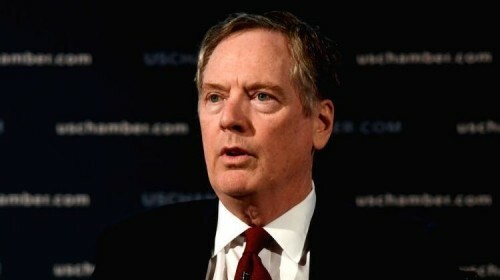 "When the EU ends these harmful subsidies, the additional US duties imposed in response can be lifted," US Trade Representative Lighthizer said in the statement. The proposed tariffs are subject to public consultation in the US and arbitration at the World Trade Organisation, which is expected to deliver its findings in the summer. The dispute dates back to 2004, when EU authorities said Boeing received $19 billion in unfair subsidies from federal and state governments between 1989 and 2006. The US government filed a similar claim that year over European subsidies to Airbus. The World Trade Organisation has handed down favourable rulings to both sides, underscoring the complexity of the dispute. The trade watchdog said last month that the US had failed to stop giving Boeing illegal tax subsidies in Washington State, but cleared it of other allegations. It issued a similar ruling last year in the case brought by the US over Airbus. It said Europe had breached some rules on subsidies, but dismissed other allegations. The tariff threat issued by the US on Tuesday risks further escalation. "Our ultimate goal is to reach an agreement with the EU to end all WTO-inconsistent subsidies to large civil aircraft," Lighthizer said. A spokesperson for the European Commission said on Tuesday that the bloc could soon launch its own retaliation tied to the Boeing case. "The EU remains open for discussions with the US, provided these are without preconditions and aim at a fair outcome," the spokesperson added. American threats to hit the European Union with tariffs come amid rising trade tensions between the bloc and President Donald Trump's White House. Trump is considering whether to impose tariffs of up to 25 per cent on European vehicle imports, a threat that has unnerved automakers in the industrial powerhouse of Germany. The US has already imposed tariffs on European steel and aluminum exports.